They're very detail oriented, and they're craftspeople, so it's a very high-quality job. Well, I liked Mike, the people that worked for him, and the very high quality of their work. It's correct looking, straight. 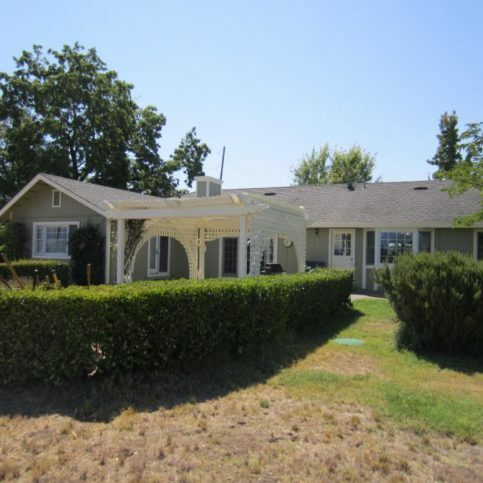 They are detail oriented and very helpful on the front end when making decisions. Well, I've worked with a lot of painters, because I'm a Realtor, and I can easily refer him to all of my clients. He pays a lot of attention to detail, follows through, and does excellent work. He was true to his word and came through on everything that he promised. I love them. I recommend them all the time. I like the fact that they show up on time, they do really good work, they're clean, and all of his workers are very nice and informative. I could go on and on. 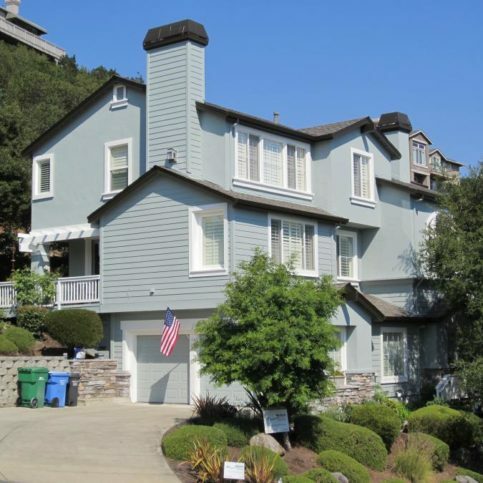 Mike Chavez Painting provides a complete range of interior and exterior painting services for residential and commercial clients in Napa, Sonoma, and Marin Counties. 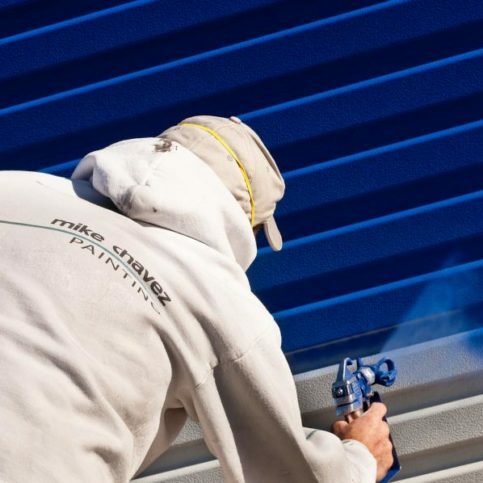 The company has the training and equipment to paint all types of surfaces, from bare wood to new sheetrock, and it’s also qualified to refinish and paint cabinets, apply coatings to garage and industrial floors, pressure wash exterior surfaces, and more. 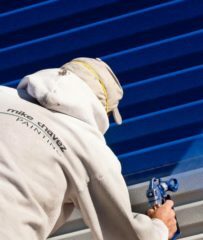 A Mike Chavez Painting technician spray paints a storage container door for a customer. 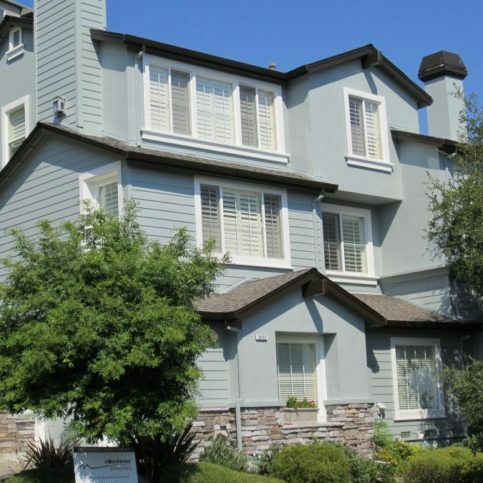 Mike Chavez Painting has been providing interior and exterior painting services for residential and commercial clients in Napa, Sonoma, and Marin Counties since 2009. The company is qualified to paint all types of surfaces, from bare wood to new sheetrock, and it also has the training and equipment to apply coatings to garage and industrial floors, paint and refinish cabinets, pressure wash exterior surfaces, and more. Q: What measures do you take to ensure a durable final product? A: It’s all about the preparation work. We take the time to make sure any chipped or loose paint has been removed from each surface, and we prime all bare wood before it gets caulked. These types of preparatory measures go a long way toward ensuring long-lasting quality. Q: Can you paint hard-to-access areas? A: Yes, we pride ourselves on being able to access areas that other contractors might consider unreachable. We’ll get scaffolding or other types of equipment in order to reach the area and do the job. 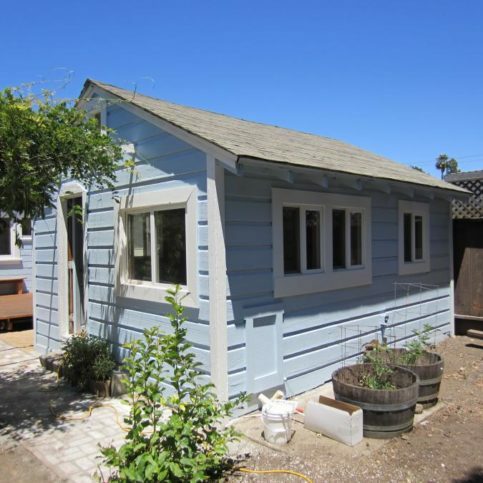 Q: How long should I expect my exterior paint job to last? 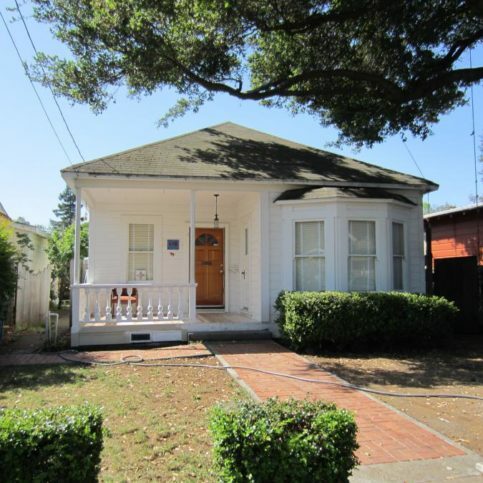 A: The typical life expectancy of an exterior paint job is between five and 10 years. However, with all the extra prep work that we do, you can expect your paint job to last 10 to 15 years. A: Once you hire us for the job, we’re happy to do color consultations and accompany you to paint stores so you can look at different samples. 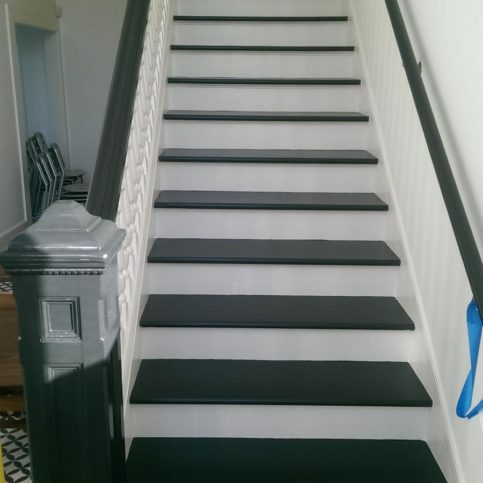 That way, when we’re ready to start painting, you know exactly what you’re going to get. A: Yes. After our initial meeting, we’ll set a follow-up appointment for a few days later and present our estimate. 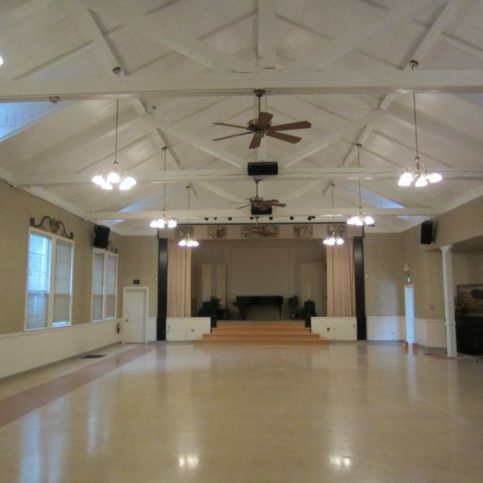 Mike Chavez Painting used bright white paint to transform this ceiling at the Saturday Afternoon Club in Santa Rosa. 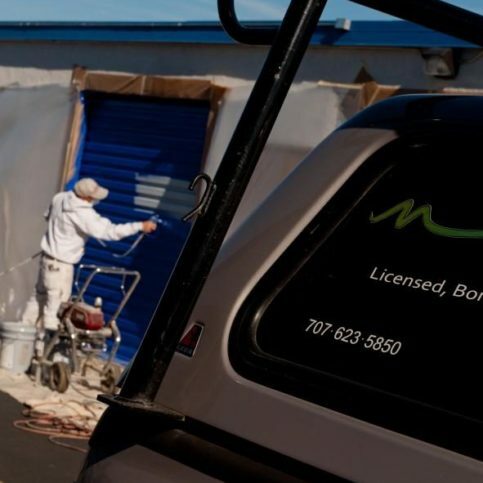 Owner Mike Chavez paints the door of a commercial storage facility in Rohnert Park. Mike Chavez Painting painted this staircase inside a Western-style historic building in Santa Rosa. 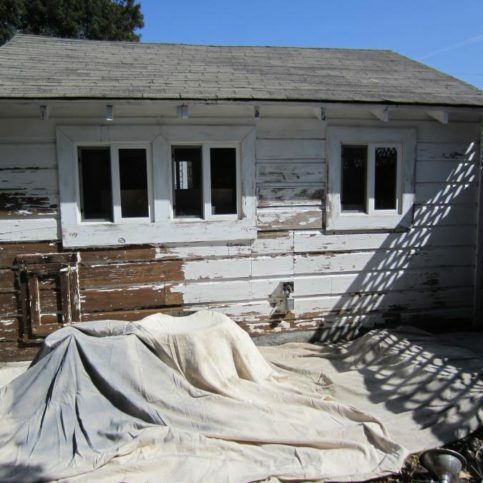 The preparation for this project included scraping, sanding and priming. 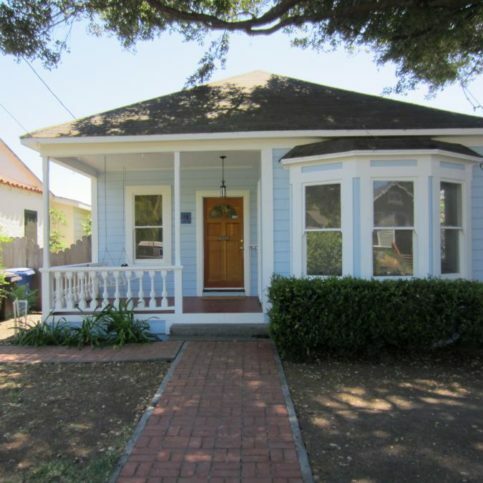 Mike Chavez Painting used light blue paint with white trim on the front side of this Victorian home. Mike Chavez Painting painted this three-story home in Santa Rosa. 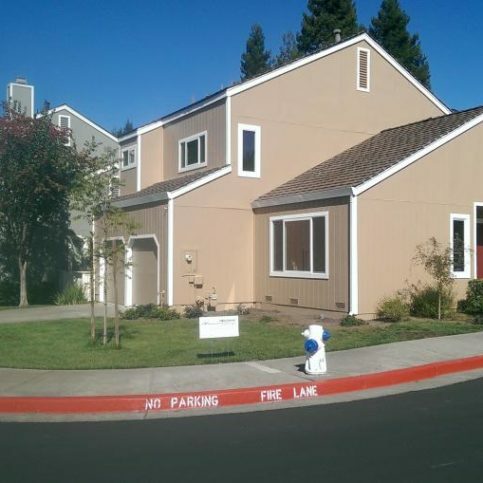 Mike Chavez Painting completed this paint job on a three-story home in Santa RosaÛªs Fountaingrove area. 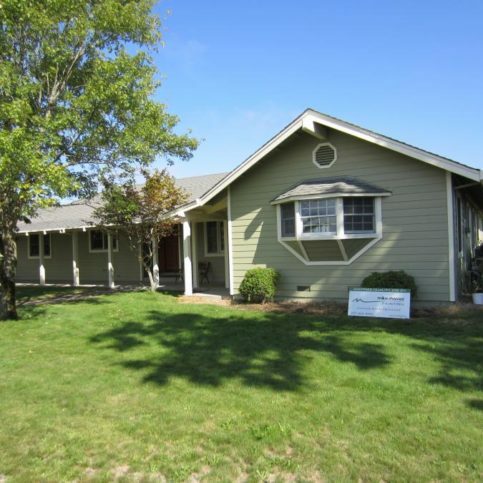 This country home features green exterior paint and a cream trim. 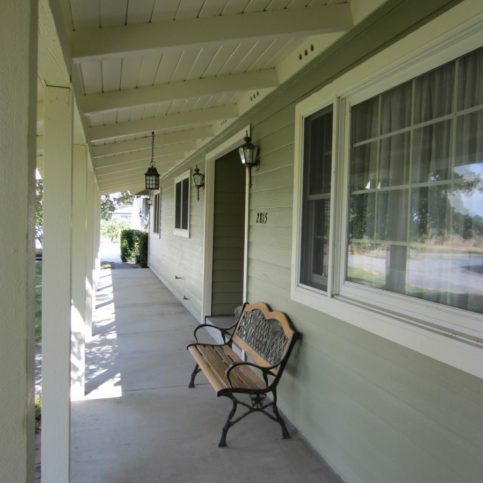 Mike Chavez Painting painted these eaves and walls. 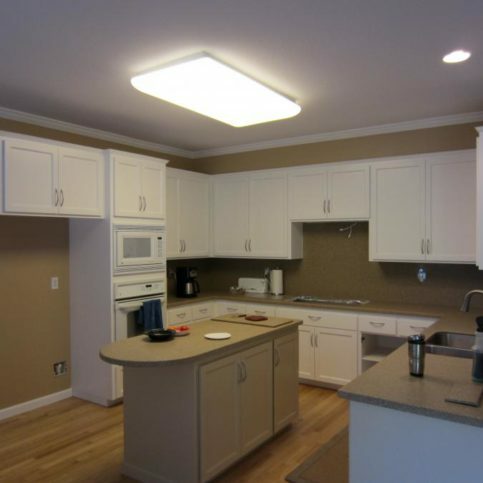 Mike Chavez Painting painted these kitchen cabinets and walls inside a home in Santa Rosa. 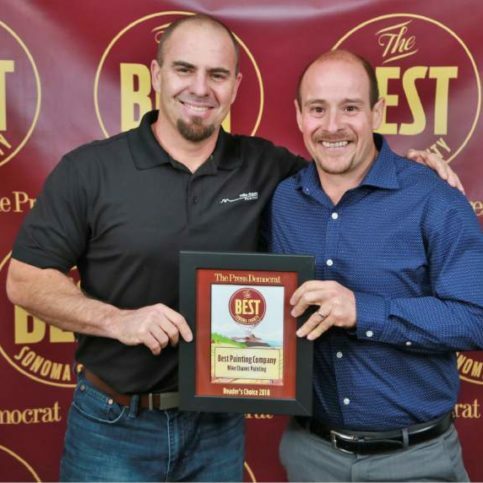 Mike Chavez Painting won “Best House Painter” at the Best of Sonoma County 2018 awards. Mike Chavez is a 14-year veteran of the painting industry and president of Mike Chavez Painting, a Diamond Certified company. He can be reached at (707) 200-1315 or by email. Outside of work, Mike engages in a variety of activities, from hanging out with his fiancée, Amanda, to running and playing softball. “I love barbecuing and spending time with friends and family,” he says. “I also play in a coed softball league and like to go running in Annadel State Park.” When he’s not at home or out amongst nature, Mike likes playing the bass guitar and attending concerts and Giants games in San Francisco. A: Bass guitar—even though I already play, I’m still not a master. A: Hang out with my fiancée and watch a movie. A: Sweet T’s Restaurant and Bar in Santa Rosa. A: Probably seeing my father play music years ago. He’s a cello player, and he used to play in a band that ran the local winery circuit. SANTA ROSA — Caulking is a useful technique for closing up exterior cracks and gaps that allow air and water to permeate your home. By making a home more weather- and draft-resistant, caulking can help protect exterior wood from rot while simultaneously improving energy efficiency. Additionally, caulking provides aesthetic benefits such as concealing unsightly gaps and making joints easier to keep clean. If you’re planning to caulk your home’s exterior, keep in mind that all surfaces should be cleaned and primed prior to application. When caulking is applied to bare wood or a dirty surface, it’ll peel off a lot quicker and require early reapplication. To maximize the durability of your caulk job, make sure it has a clean, coated surface to stick to. 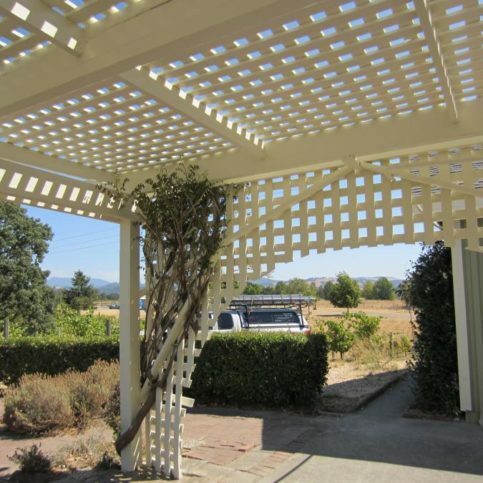 SANTA ROSA — Host, Sarah Rutan: Prior to applying caulking or another sealant to a wood surface, you’ll first want to make sure the surface is properly prepared. Today we’re in Santa Rosa with Diamond Certified Expert Contributor Mike Chavez of Mike Chavez Painting to learn more. Diamond Certified Expert Contributor, Mike Chavez: So, if you’re painting at your home – own home, I’d like to provide you with some advice. If you’re planning on doing any caulking or filling on the surface, you want to make sure that you prime that surface first. You want – you don’t want to do it on any bare wood. You want to make sure that your primer, or – excuse me – you want to make sure that your filler, or your caulking, has a clean surface to stick to. That way it’s going to last the longest for you. Mike Chavez Painting : Average 9.4 out of 10 based on 71 unique customer surveys of customer satisfaction. They are very reliable and good quality. Their personal approach, and they didn't feel gimmicky. They are fast, efficient, and friendly. I would highly, highly recommend them. He is professional and timely. He is not the cheapest, but it shows in the quality of his work. He is in my B & I group, so he is easy to get a hold of. Mike is a straight-shooter and cares about doing a good job. They do good work, and they are reliable. He is the best in the county. He was honest and did exactly what he told me he would do. He cleaned up after himself. High quality, integrity, and they do what they say they will do. There are never any issues. It's a fun crew. They are always smiling and happy. They do great work. They were efficient and clean. I liked best that they were efficient and clean. Well, they helped a lot. We had no clue where to start with this project, and they walked us through everything. They are true professionals, and their price was right. I think the fact that they were willing to walk us through the colors, texture, finish, and everything to ensure the project was the way we wanted it to be. I would say to use him. I am happy to have a nice painted house. They did a great job. They delivered on our expectations, and they did a great job. How they communicate, they were punctual and professional all the way around. He's reliable and does great work. He's organized, and when you contract with him, you get it on time and everything is upfront, none of it is verbal.